THE ONLY PLACE TO SIT in the 50's soda fountain, retro bar or diner restaurant. 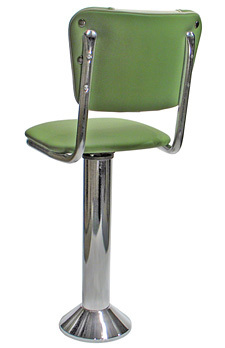 Deluxe floor mounted #P410 counter stool with diner chair style seat. 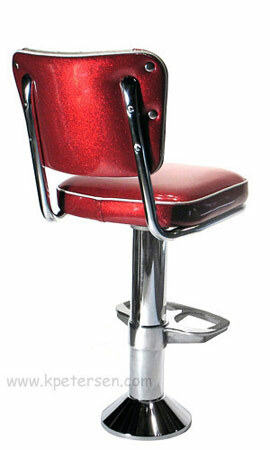 #P410 Soda Fountain Stool seats feature heavy duty 14 gauge chromed steel frame construction and expert upholstery work. 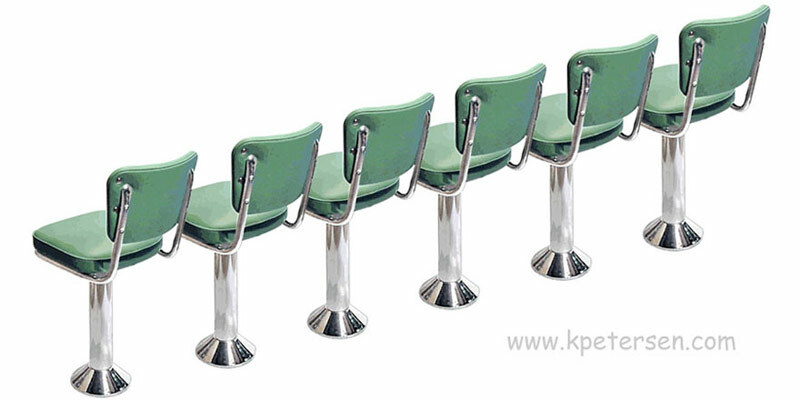 All stools are equipped with spring return swivels, chrome column and chrome bottom bell. The vertical column and bottom bell are reinforced with cast iron. P410 counter stools are available in a wide variety of upholstery materials including Cracked Ice Vinyl and Naugahyde Zodiac Glitter Vinyl. 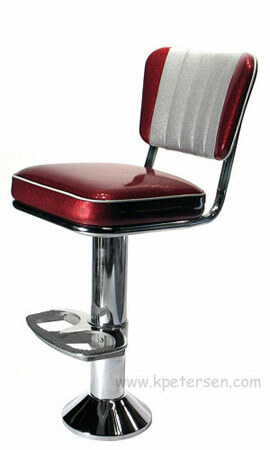 Click here for bolt down counter stool pricing. Please request a quotation if you are considering a large order. All counter stools shown can be shipped UPS in small quantities. 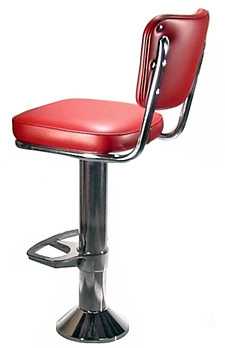 Deluxe floor mounted P410 Diner Chair Style Seat counter stools. Removable lift off seat is approx. 15 1/2" W. X 15 1/2" D. Lift off seats facilitate installation, swivel, floor attachment maintenance and upholstery repair. Chrome column and chrome bottom bell are reinforced with cast iron. Specify counter stool seat heights in any height between 12" and 30" (in one inch increments). 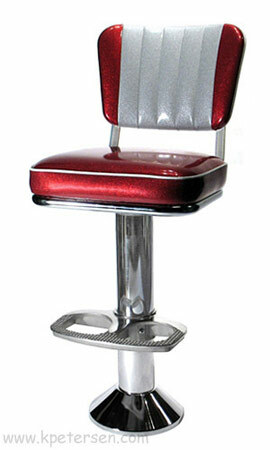 All counter stools available with optional cast aluminum footrest. 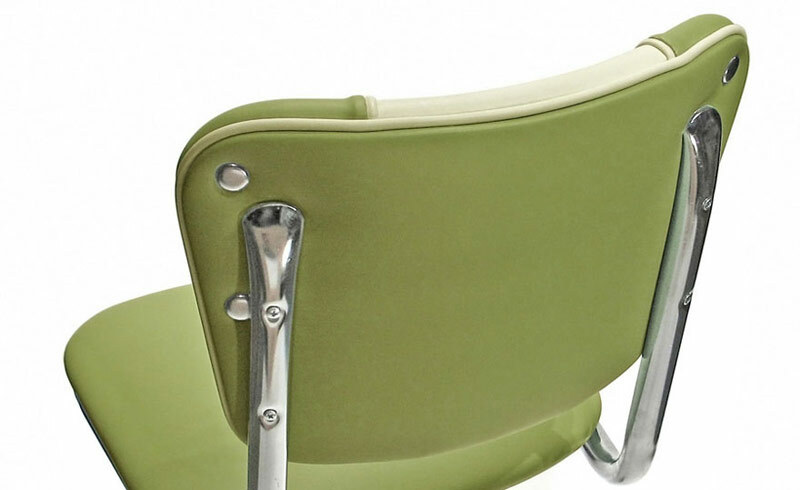 Custom, made to order with your choice of upholstery material in the United States. 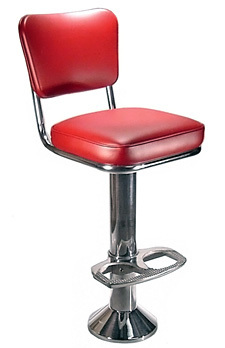 Deluxe floor mounted #410P Diner Chair Seat Style Counter Stools. Note Cast Aluminum Footrest and 1" or 2" Thick Seat Options. 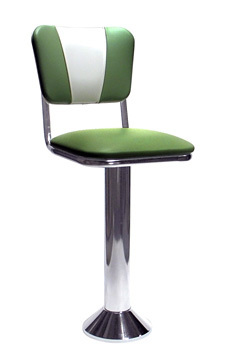 Other diner chair style seat options are available for custom quotes.